Treefield Villa is a unique home in a unique community! The red tiled roofing, cream walls and brick paved pools give High Grove a truly special Mediterranean feel. It is ideally located, where the 192 meets the 27 and less than ten minutes from both Interstate 4 and of course, Walt Disney World! 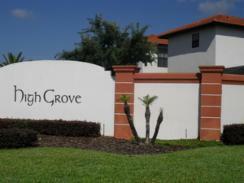 For your added peace of mind, High Grove is a gated community. 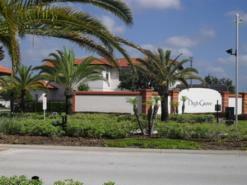 Treefield Villa is regularly photographed as it is the model home for High Grove. 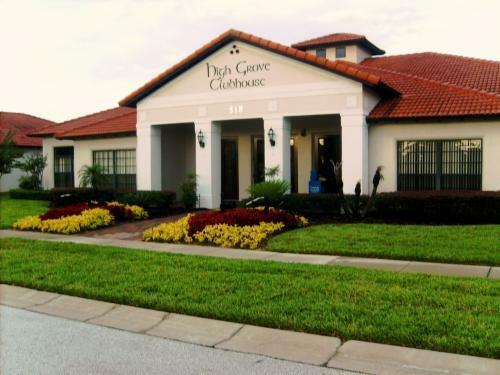 The High Grove Clubhouse is just a short walk from Treefield Villa. The Clubhouse organises a range of activities, particularly for children, such as face-painting and ice-cream sundae parties! The clubhouse also offers complimentary tea, coffee, coupons and maps. 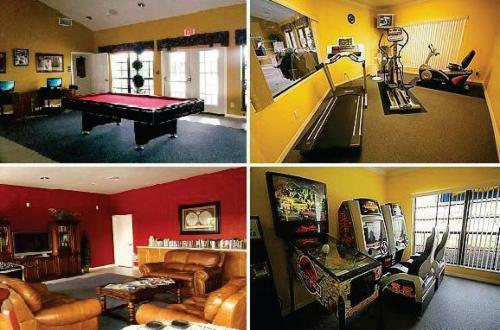 a gym room - with exercise bike, cross-trainer and treadmill - an a TV! 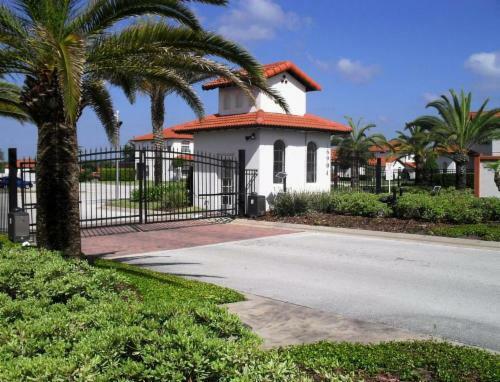 Behind the Clubhouse is the fabulous community pool and spa. 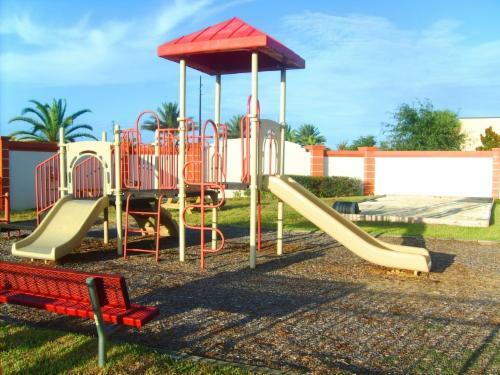 Finally, across from the Clubhouse is the children's play area. 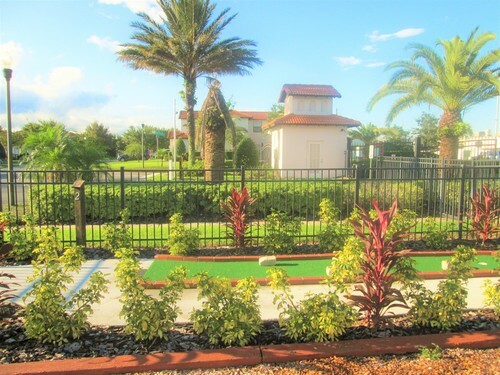 There is also a nine hole crazy golf course in walking distance - wow! Where else would you find this?